Why Wood & Laminate Flooring? Here are just some of the reasons why more and more people are choosing wood floors in their homes today. Wood is a natural, renewable source. Wood floors are durable and can last for generations. Wood floors are great for those who suffer from allergies and are often recommended by doctors – they have been shown to trap less animal fur, dust, pollen, mites and mould. Wood floors add value to homes.. Commonly referred to as hardwood floors, solid floors are made from real wood throughout and are seen by many people as an investment rather than an expense. Solid floors are generally 18-20mm thick and can be re-sanded, re-stained and re-sealed many times over. They are genuinely floors for life! Solid wood flooring brings toughness and elegance to any home. It can be bought in a wide variety of styles and looks fantastic, so you’re able to pick flooring that will suit your room. 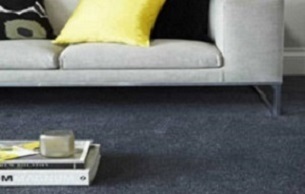 This is premium quality flooring; perfect for anyone who wants a floor built to last! Engineered wood flooring gives you the ultimate real wood beauty but with stability too. Engineered flooring is made especially to last, with cross ply layers built into the base so you get wood that both looks good and lasts forever. The perfect choice for any home! Engineered floors are also sometimes known as veneered floors or real wood laminates. They provide a softer, more natural look than laminate floors using a real wood veneer but are not as resistant to abrasion or impact. A huge benefit of engineered floors is stability which makes them the preferred choice in rooms with underfloor heating. Laminate flooring is the perfect solution for anyone who wants a truly affordable floor which looks just like real wood, stone or tile, but without the premium price. Laminate is easy to install, easy to care for and comes in a huge range of styles and finishes to suit just about any room! 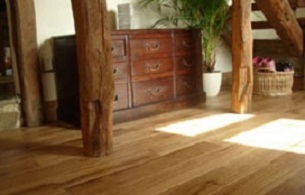 Laminate flooring has now become a popular choice in homes. It combines the warm effect of wooden flooring with strength and durability. It succeeds where real wood, vinyl and carpet fail with exceptional resistance to impact as well as high resistance to shoe heels, scuffs, spillages, dirt and staining. As such, it is ideal for kitchens, children’s bedrooms and hallways. 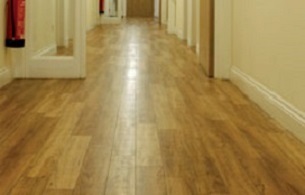 Laminate flooring is maintenance free and does not need polishing, sanding or sealing. Almost all laminate floors can now be fitted without glue using a ‘click’ system. This makes it fast, clean and simple to lay and can be dismantled and re-installed if necessary.